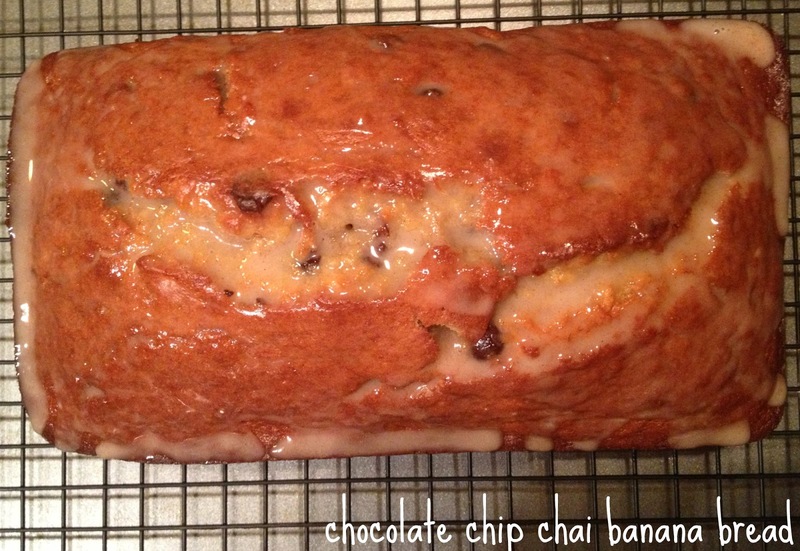 I always want to make something with bananas but don't have any ripe bananas on hand. Then there are other times when we have tons of ripe bananas and yet I can't find a recipe to make. This isn't really an issue because the bananas wind up in the freezer and are so perfect in smoothies. So cold and creamy! This week I purposely bought some almost ripe bananas with the intention of making a banana recipe. By last night, they were at the perfect level of ripeness. However, after my run, making chicken tikka masala, and eating dinner, it was 9:30pm. Oh well. Nothing like a little late night baking to help me fall asleep! This recipe was a cinch to whip up and I had plenty of time to get ready for bed while it was baking. Combine first 4 ingredients in a bowl; beat with a mixer at medium speed just until blended. Add sugars; beat at medium just until blended. Combine flour, baking soda, salt and pumpkin pie spice. Add flour mixture to banana mixture; beat just until blended. Add vanilla and chocolate chips. Mix until just blended. 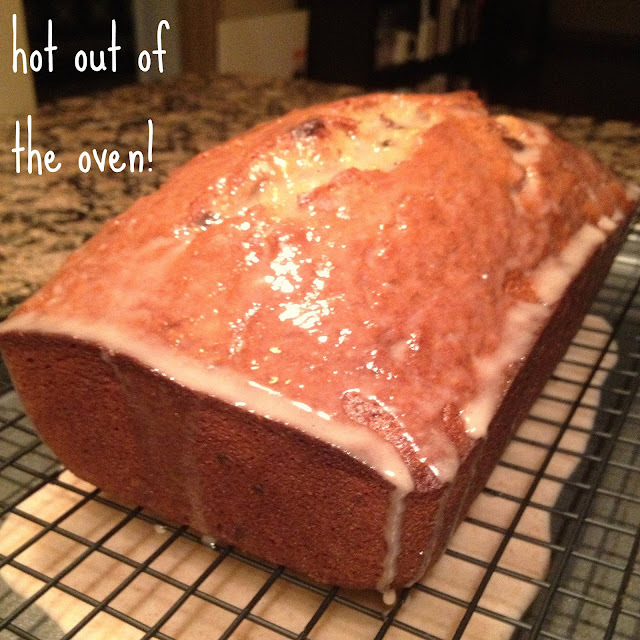 Pour into a 9 x 5-inch loaf pan coated with cooking spray. Bake at 350° for 65 minutes or until a wooden pick inserted in center comes out clean. Cool 10 minutes in pan on wire rack. Remove from pan; cool. Combine glaze ingredients and whisk until smooth. Drizzle over bread. Note: I didn't think this recipe had a strong spice flavor so don't be thrown off by that. You can add more or less spice depending on how much "chai" flavor you want. The glaze is key though. Also, you can leave out the chocolate chips and add nuts or peanut butter chips if you'd prefer.